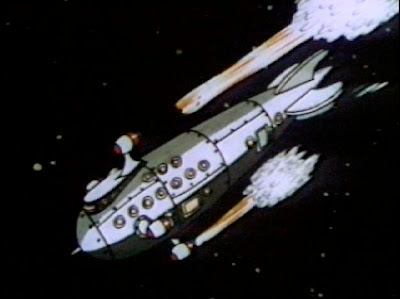 The 1935 Fleischer Brothers cartoon Dancing on the Moon gave audiences a peek at the wondrous age of space travel, still decades from becoming a reality. 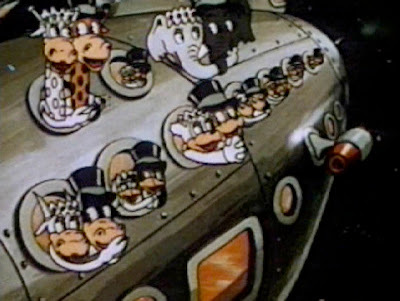 It is difficult to imagine the world of 1935, in the middle of the Great Depression, watching a cartoon like Dancing on the Moon with such optimism. I picture Cecilia, (Mia Farrow) in the Purple Rose of Cairo, escaping her unbearable life through the images on screen. 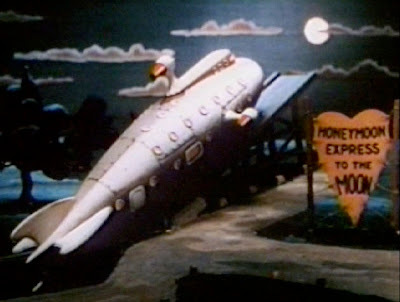 The experimental nature of using a combination of models and animation for Dancing on the Moon is the most strikingly original aspect of this cartoon classic. The space rockets of today are clearly different from those depicted in the short but the notion of space tourism, (an idea that's been around for quite some time), was clearly an exciting concept for the tired masses of 1935. Check out the short cartoon here.